I've always said that it takes a special kind of someone to be a wedding photographer. Not only must you be supremely talented, but you also have to have the slow heartbeat and the willingness to work under a lot of stress. 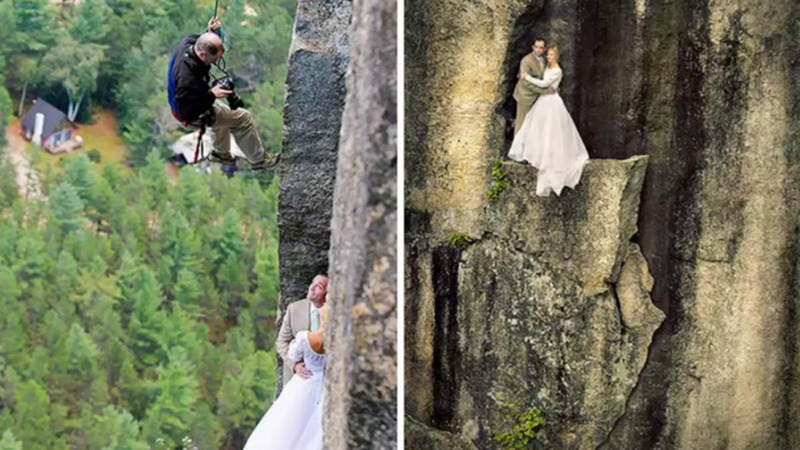 I, for one, could never be a wedding photographer. I have no desire to have the fate of someone's wedding day memories resting on my shoulders. But for all those special folks out there that make a living photographing weddings, I tip my cap to you, even if you're all crazy. And if you think wedding photographers won't do anything to get the shot, just check out the video above by TOPnBest. 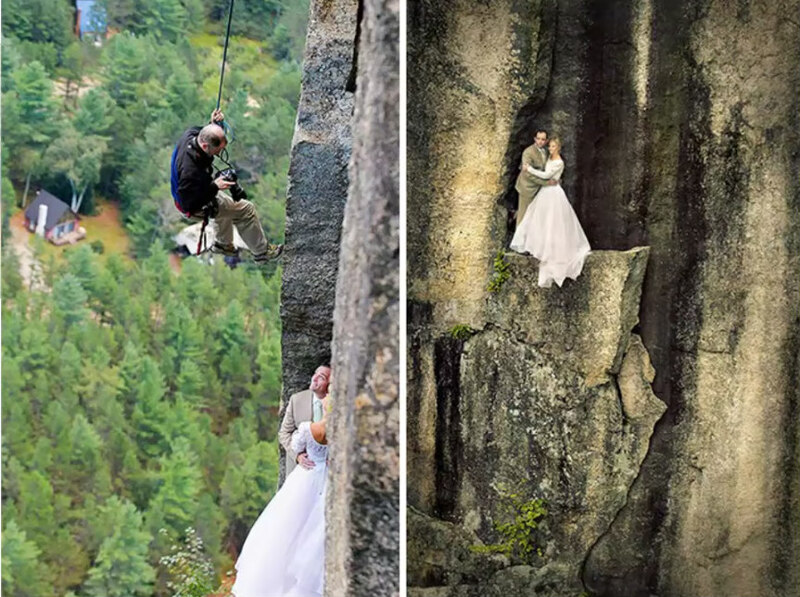 This collection of 12 images just goes to show that wedding photographers will stop at nothing to satisfy their clients with the best shots possible. I've screenshot a few of my favorite examples of beautiful wedding photography for your instant gratification. It's all about the angle, right? 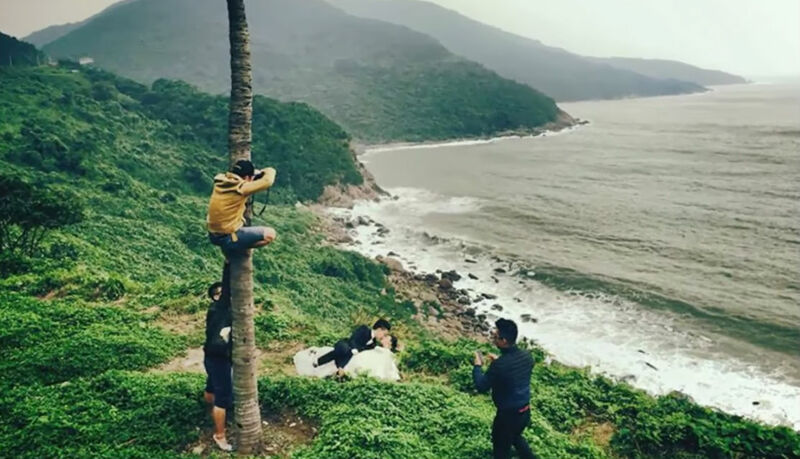 This photographer was willing to climb a tree to get the best shot. Editor's Tip: Learn how you can improve the quality of your photos by shooting with a 50mm lens. This guy's devotion to the right angle for the shot got him all kinds of muddy. If I were doing this, I'd be sure that this was the last shot of the day, lest I walk into the wedding with mud on my clothes from head to toe. 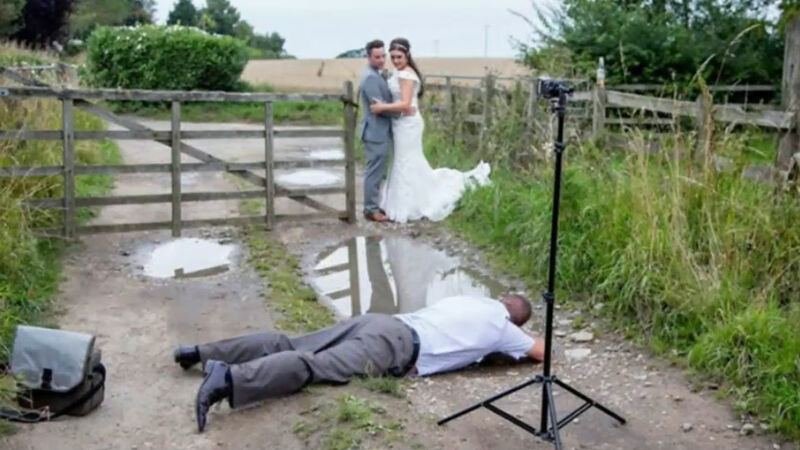 Nevertheless, this guy demonstrates a critical wedding photography tip - the perspective from which you shoot matters! It's one thing to climb a tree or lay down in the mud in your suit, but to take your very expensive camera into the surf to get the shot you want is a little beyond what I'd be willing to do. But hey, I bet his clients were happy! Editor's Tip: Need a little extra cash? 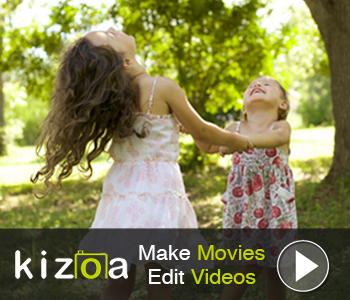 Join our #1 photography affiliate program! I'm also going to assume that this photographer charged an extra fee for this kind of shot. But, hey, the final result is certainly an amazing wedding photo! These examples might not be the perfect choices for how to photograph a wedding, but they certainly show that wedding photography is a lot harder than most people realize.